Prime location in the city of Diamond Bar, inside the exclusive, gated community of Fall Creek with running streams & lush greenery throughout. 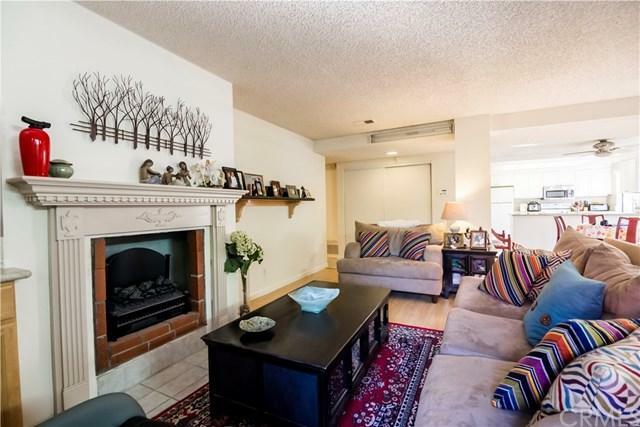 This single-story 2 bedroom, 2 bath, front-corner condo boasts an open floor plan with brilliant natural light from its open air patio & garden that flows into an intimate living room with fire-place & beautifully lit dining room straight into a spacious kitchen with additional eating area. Also featuring one master bedroom with private master bath, extended closet space with laundry inside unit. Updated laminate flooring & tile throughout plus recently remodeled bathrooms with granite counter tops, also updated in the kitchen. Ample parking with 2 assigned covered spaces outside front entry & guest parking throughout. Resort style living, with easy access to swimming pool, spa, tennis courts, clubhouse, & walking trails. HOA includes aforementioned amenities, sewer, trash, hot/cold water, exterior building insurance, common area landscaping, plumbing maintenance & ongoing pest control. And not to mention, walking distance to great shopping & local eateries at the new Diamond Bar Ranch shopping center anchored by Sprouts. Convenient access to major freeways - the 57, 60 & 71. Also minutes away from local parks, Diamond Bar Golf Course, schools: Armstrong Elementary, Lorbeer Middle, highly rated Diamond Ranch High School, Mount San Antonio College & Cal Poly Pomona. Perfect for a first time home buyer & also for the seasoned investor.